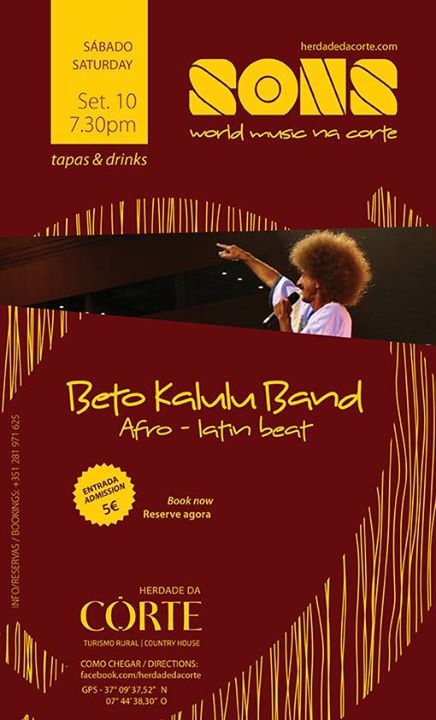 The uplifting and unique sound of Beto Kalulu & his Afro Latin Band will have you dancing on the tables at Herdade da Corte on Saturday 10th September. It's going to be a great evening, so don't miss it! Drivers - if you want to enjoy a drink or two, then why not stop over? Herdade da Corte is offering 50% discount on a double bedroom with breakfast included.